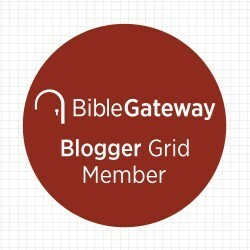 An Inner Step Toward God: a book review and GIVEAWAY!!! Alexander Men was a popular Russian Orthodox priest during the final decades of the USSR. Through much of his ministry career, his writings were suppressed. Before the dissolution of the Soviet Union, when the nation had a new experience of religious Freedom, Men was vocal in his proclamation of the gospel. Before the Soviet’s ultimate collapse, Men was murdered. Many regard him as a martyr. During his life time, his books on Orthodoxy and the spiritual life were circulated in a clandestine manner–published under pseudonyms and passed out as carbon-copied manuscripts (or published abroad and smuggled back into the country). But because Men wrote in Russian, much of his writings remain unknown in the English speaking world. Editor April French and translator Christa Belyaeva have compiled many of Men’s works into a slim volume, An Inner Step Toward God. Readers will be treated to Men’s practical insights on the nature of prayer and its practice in the Russian Orthodox tradition. There are four sections of this book. Part one records parts of two lectures: an informal one delivered in a parishioner’s house, and a formal lecture delivered in February, 1990 (months before his murder). Part two reproduces A Practical Guide to Prayer, a catechetical work utilized by small groups of Men’s congregants to deepen their prayer lives. Part three focuses on prayer and the Great Lent. There is a chapter where Men describes the Prayer of St. Ephrem of Syria (a prayer sent daily through Lent by Orthodox Christians) and devotional instructions for this season. Part four has sermon selections from Men on various saints, his public prayers and further selections from his sermons and lectures on prayer. In addition to these sections, there are appendices which record insights from Men and other Orthodox Christians on the life of prayer. As a lowly Protestant, I often turn to the writings of the Christian east and find wells of deep insight. Writers like Kallistos Ware, John Zizioulas, Anthony Bloom, Paul of Finland and Alexander Schmemann have shaped my theology, my love of the sacraments and appreciation for liturgy. I remain firm in my non-Orthodoxy but these authors help me see the wisdom and depths of the Great Tradition. 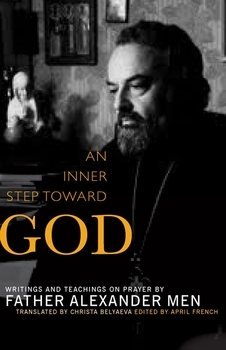 Men is a devout and insightful Orthodox author and I am grateful for discovering him through this gem of a book. So let us pray that we may know He is with us right now. The Word of God will be with us. We will take Him home, and He will live in us. And Finally, let us live in the light and in hope. We believers are happy people who do not take advantage of happiness; we are rich people who neither take possession of nor utilize our treasure. Therefore, today we will wash away everything–our resentments, our disappointments, our worries and expectations, our sin and our burdens. We bring these things to the Lord so that He might strengthen us, for this is what is most important (18). Men talks about breathing, prayer postures, managing distractions and ‘higher forms of prayer’ (i.e. cultivating an inner awareness of God through all of life). However his method of prayer is relatively simple: daily prayer with a prayer book, time reading and meditating on Holy Scripture, and the Eucharist. Orthodox prayer practice consists of saying set prayers (i.e. rote prayers from a prayer book or the Jesus prayer) as a means of attuning your heart to God. Men argues that these forms of prayers awaken us to God’s presence, and work on us regardless of whether or not we ‘feel like praying or not.’ To say the words from a prayer book, day in and day out is formational. I find myself challenged and inspired by Men’s prescription for daily regular prayer. This book provided strategies for deepening my personal prayer life and introduced me to voice of someone outside of my own tradition. I am grateful for Men’s life and witness and to April French and Paraclete press for introducing me to him! Paraclete Press was gracious enough to share a review copy with me. That means that in addition to the one I purchased, I have an extra copy to share with one of you. If you would like to win my copy, please comment below telling me how you practice (or don’t practice) daily prayer. I will choose a winner, at random, from the comments. You have until April 18 to enter! 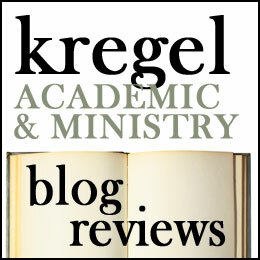 Posted on April 7, 2014 April 11, 2014 Categories Book Review, Books, Learning to Pray, Lent, Paraclete Press, Prayers, Reviews, Spiritual Formation, TheologyTags Alexander Men, Book Giveaway, Book review, Father Alexander Men, Orthodoxy, Prayer, Real Men of Russia7 Comments on An Inner Step Toward God: a book review and GIVEAWAY!! !